In 910 a Mercian and West Saxon army inflicted a decisive defeat on an invading Northumbrian army, ending the threat from the northern Vikings. 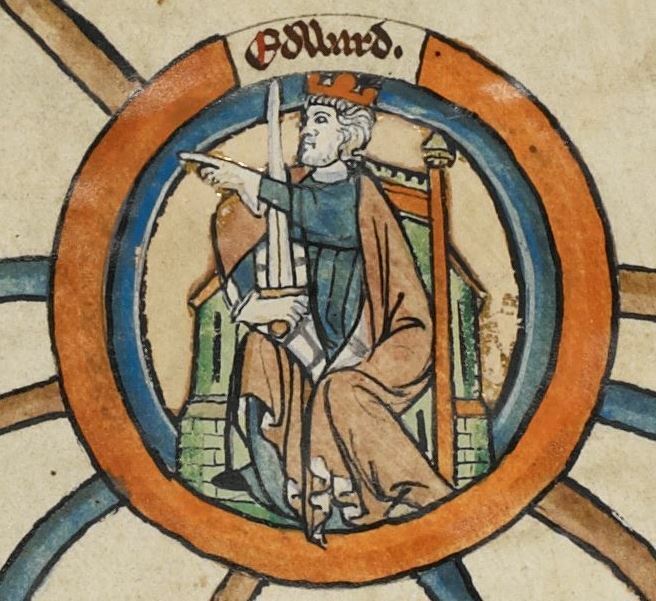 In the 910s, Edward conquered Viking-ruled southern England in partnership with his sister Æthelflæd, who had succeeded as Lady of the Mercians following the death of her husband in 911. After Æthelflæd's death in June 918, her daughter Ælfwynn, briefly became second Lady of the Mercians, but in December Edward took her into Wessex and imposed direct rule on Mercia. By the end of the 910s he ruled Wessex, Mercia and East Anglia, and only Northumbria remained under Viking rule. In 924 he faced a Mercian and Welsh revolt at Chester, and after putting it down he died at Farndon in Cheshire on 17 July 924. He was succeeded by his eldest son Æthelstan.